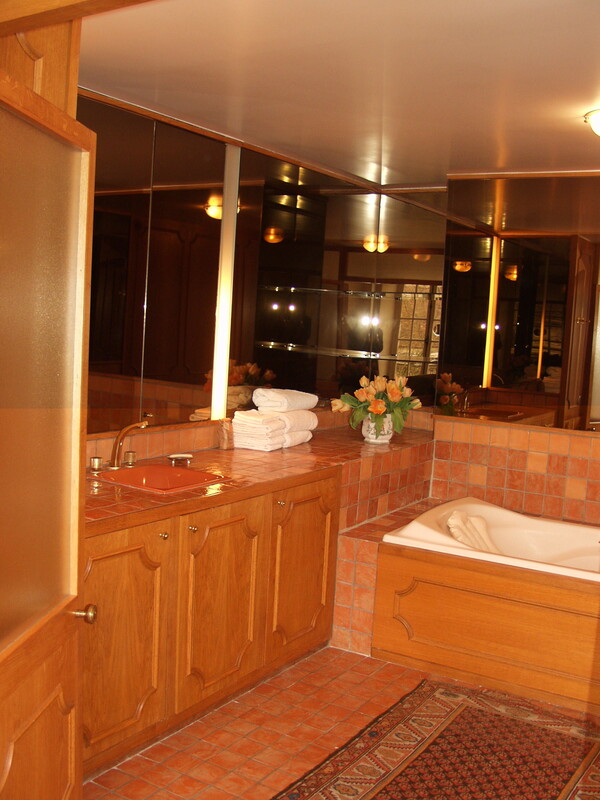 Redecorated in 2000, the master bedroom suite with attached dressing room and elegant bathroom are reached by the separate main staircase. 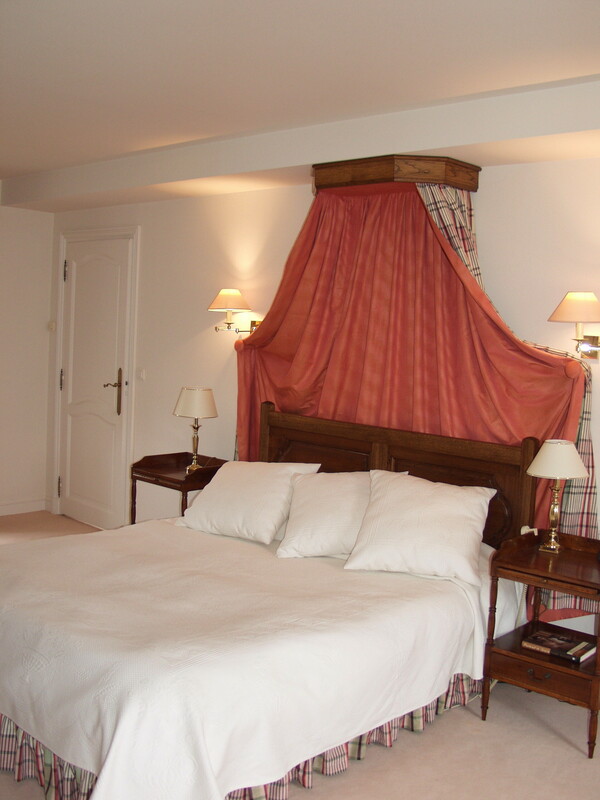 The suite can be shut off from other bedrooms and yet has access to the second floor kitchenette. The windows look over the entrance courtyard on one side and the river and island gardens on the other side. 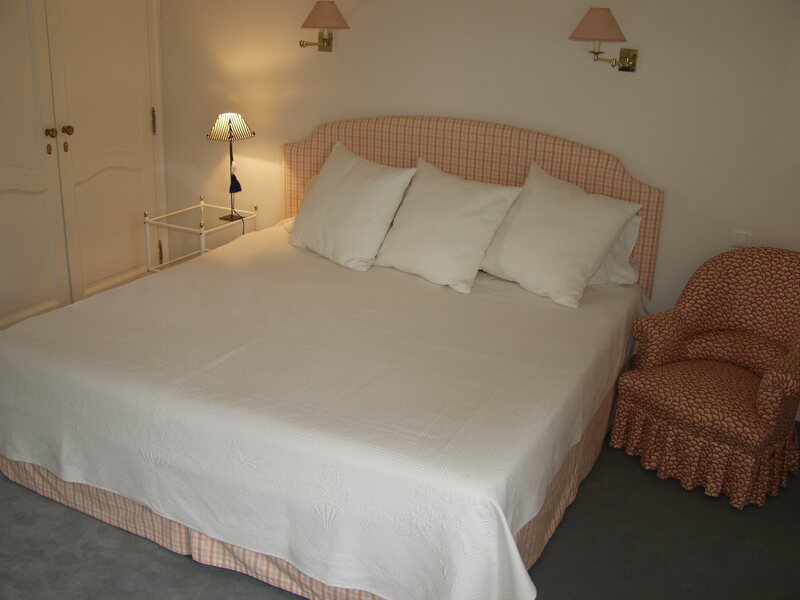 The guest room, which also looks out over the river and island gardens, is furnished with a real king size bed. 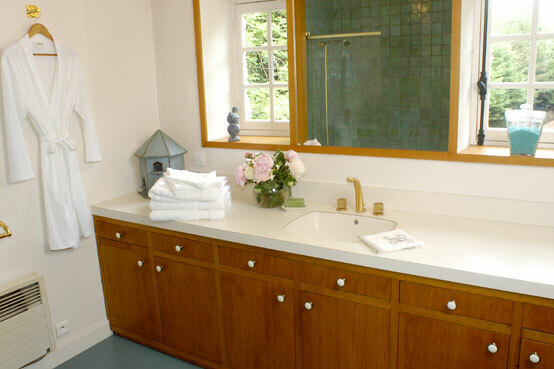 The separate bath features a full bath with shower and double sinks. 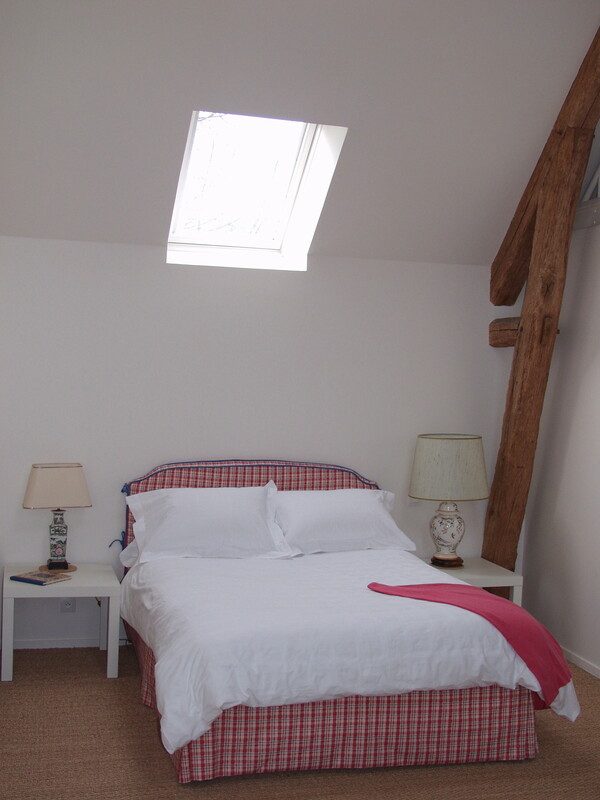 A spacious loft suite was added in 1998. 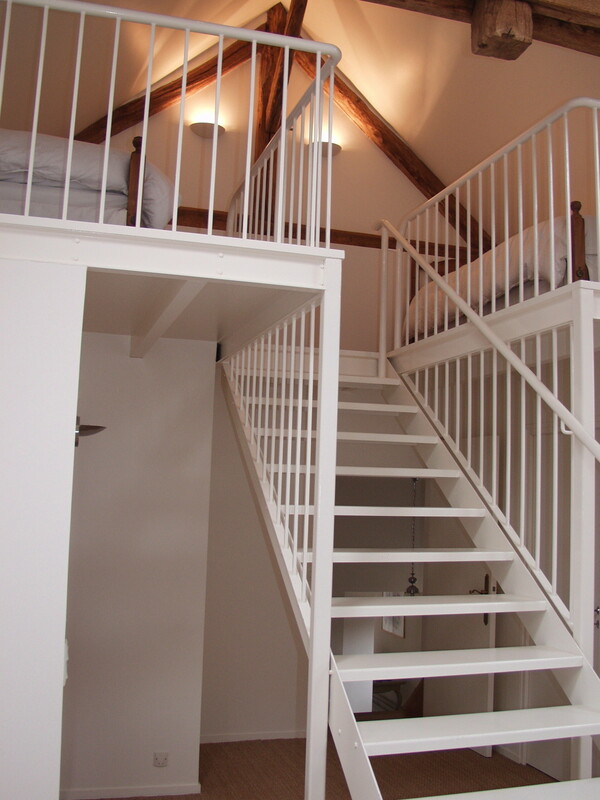 This two-level combined day room and bedroom with ensuite bath incorporates the rough hewn timbers that characterize moulin architecture of the period, a modern metal staircase to access the additional sleeping loft, and skylights that brighten the room. 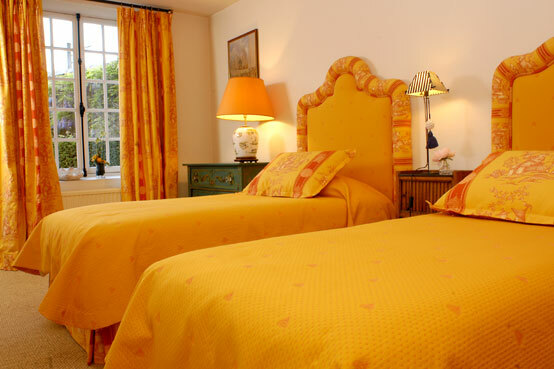 This cozy guest room, which is furnished with two twin beds,looks out on the gated courtyard with espaliered fruit trees, honeysuckle, and whisteria. 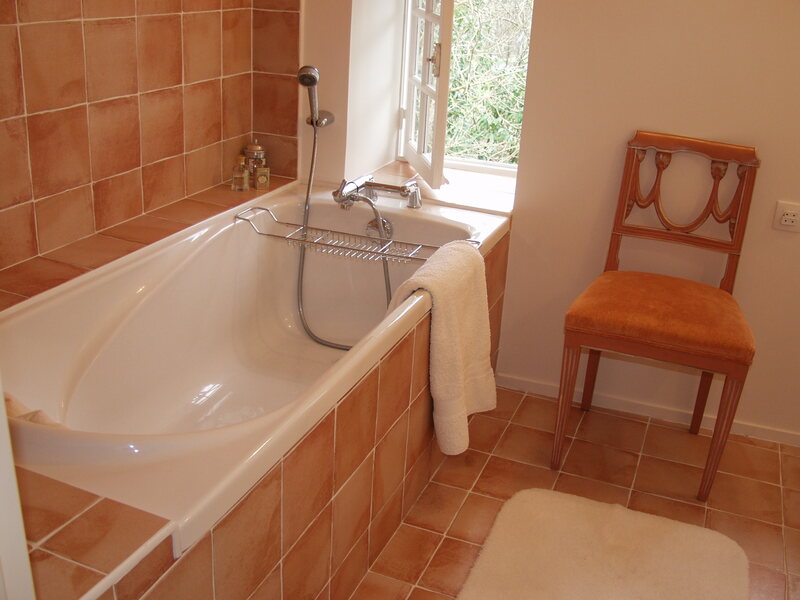 The separate bath has a modern shower.